Historical Jacob had an affair with a woman he worked with. Although he maintained his relationship with the woman, he remained with Anna and their children. Five years later, he filed for divorce. Anna and the children eventually moved to Sydney where Anna became a prominent specialist in family law. They lived in the Sydney suburb of Lindfield. She died in 2001 at age 90 and is buried in Macquarie Park Cemetery. 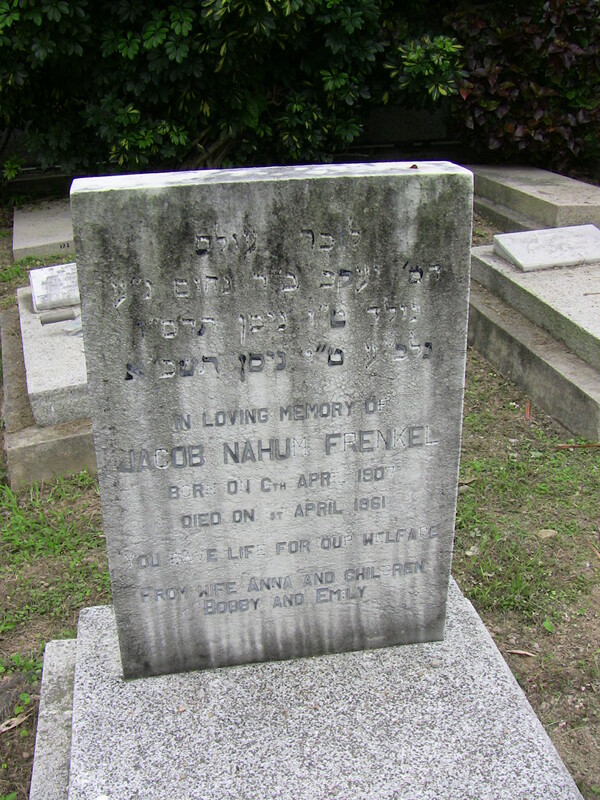 On the 1941 jurors’ list, Jacob is listed as being an overseer at H.K. Engineering & Construction Co., Ltd. The company was located at 1/F, 379 Nathan Road, Kowloon. 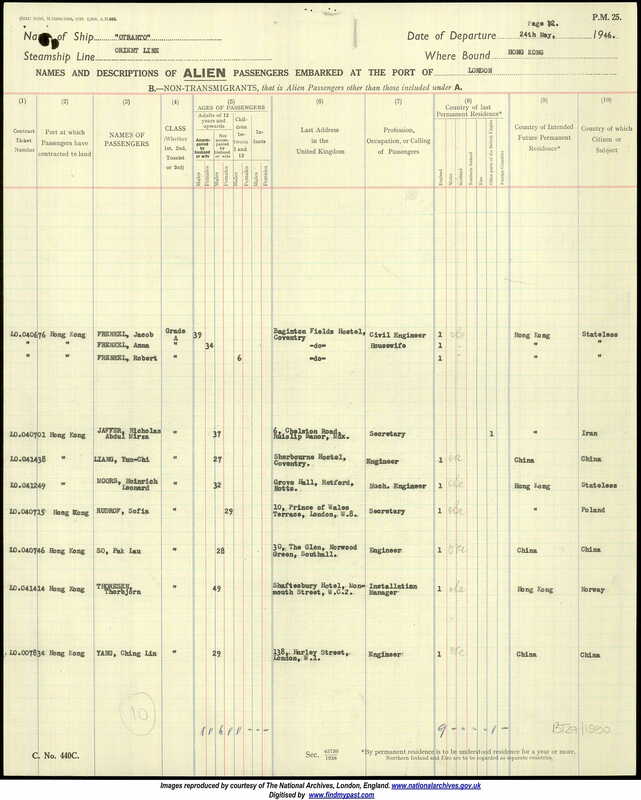 According to the Carl Smith archive, he came to HK from Shanghai in 1937 (coincident with the evacuation?) and joined H.K. Engineering & Construction. He was born in Odessa and moved to Harbin with his parents after the Russian Revolution. He graduated from Harbin Polytechnic Institute as a railway and civil engineer.